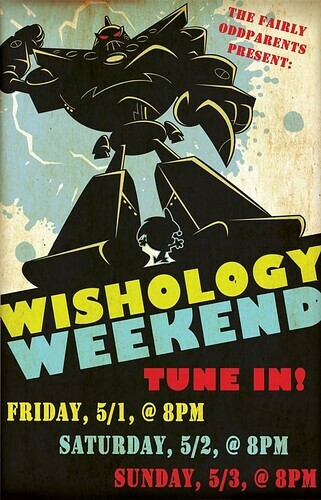 An internal studio poster promoting this weekend’s premiere of the Wishology trilogy on Nickelodeon. 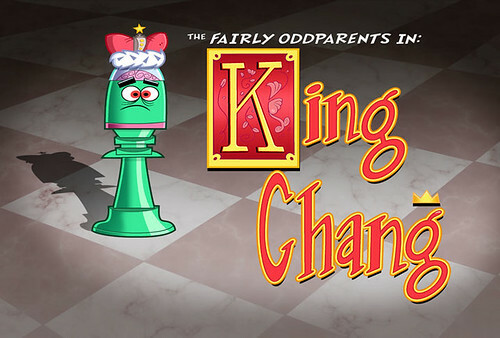 Premieres today at 5:00 p.m. on Nick. 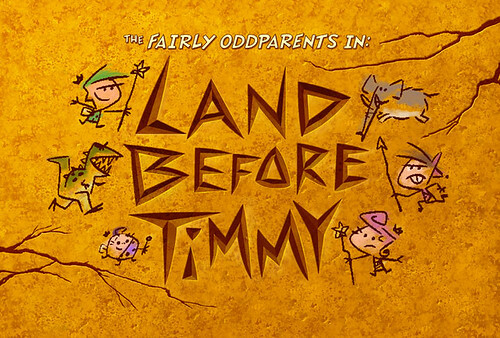 So Nick aired “Cheese & Crockers” - not “Land Before Timmy” - this afternoon. Let’s guess that “Land” will be shown tomorrow. Sorry for the switch. 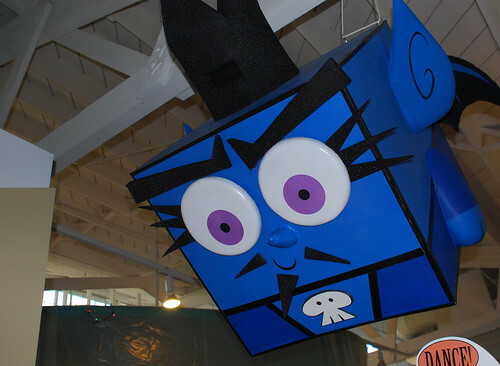 Clearly the work of anti-fairies. 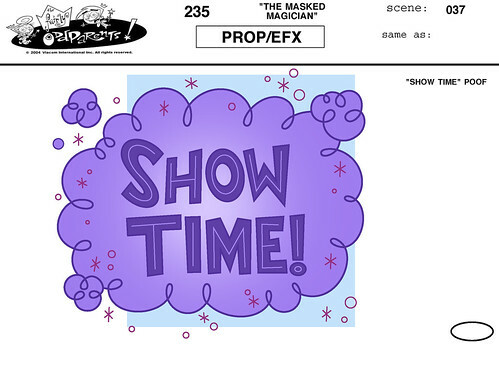 New episode today at 5:00 p.m. on Nick. 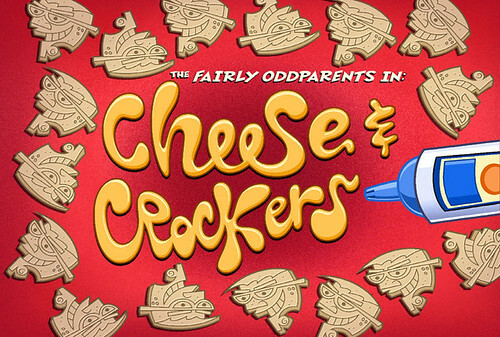 New episode, today at 5:00 p.m. on Nick. 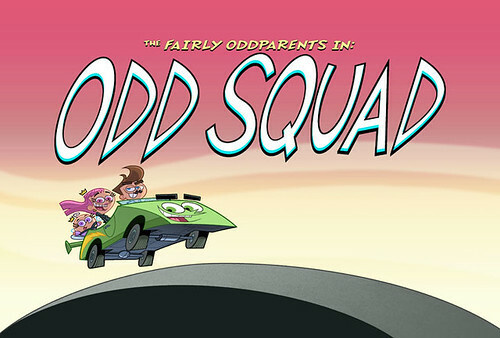 Brand new Fairly OddParents episode, today at 5:00 p.m. on Nick. 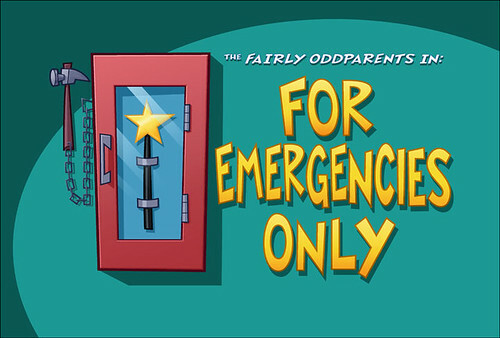 Nick will air five brand new Fairly OddParents episodes this week. Beginning Monday, you’ll need to tune in at 5:00 p.m. every afternoon to watch. 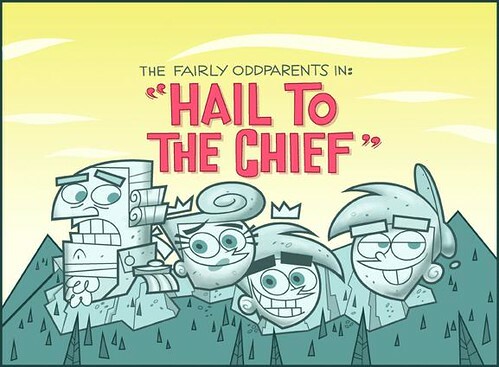 I’ll post the new title cards throughout the week, but, for now, enjoy this oldie but goodie from “Hail to the Chief”.